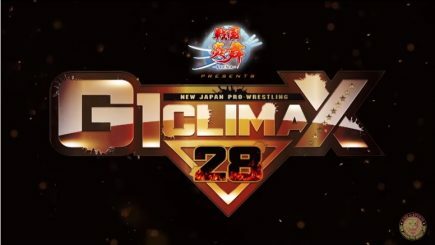 During Sunday’s Kizuna Road card, New Japan Pro Wrestling announced the participants for this year’s G1 Climax tournament, which begins Saturday, July 14th and concludes with three straight nights at Budokan Hall on August 10th, 11th, and 12th. 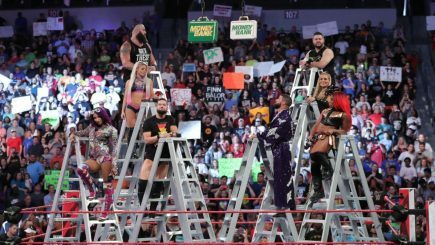 John Pollock reviews the NXT TakeOver card from the Allstate Arena in Chicago, featuring Aleister Black defending the NXT title against Lars Sullivan, the rematch between Johnny Gargano and Tommaso Ciampa in a ‘Street Fight, Shayna Baszler vs. Nikki Cross, Ricochet vs. Velveteen Dream & and the NXT tag titles being defended. 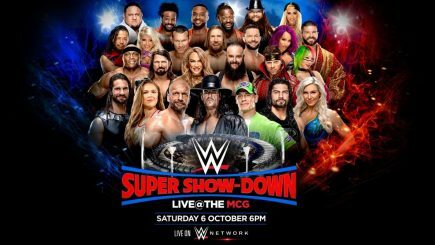 The WWE has officially announced another stadium show for 2018 with the “Super Show-Down” at the 100,000 seat Melbourne Cricket Grounds on Saturday, October 6th. The news of the stadium event was first reported back in March by the Melbourne Herald Sun. Friday night’s Ring of Honor ‘State of the Art’ event from San Antonio featured a change to the main event eight-man tag. The Briscoes had travel issues and were replaced by Matt Taven & Vinny Marseglia teaming with Killer Elite Squad against The Young Bucks, Hangman Page & Marty Scurll. 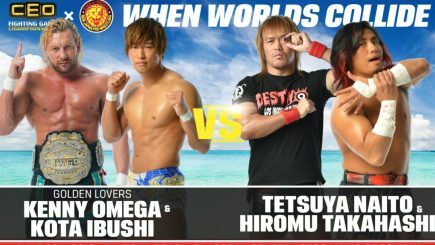 The card has been released for upcoming New Japan Pro Wrestling show that is being promoted in conjunction with Kenny Omega and the CEO Fighting Game Championships in Daytona Beach, Florida. 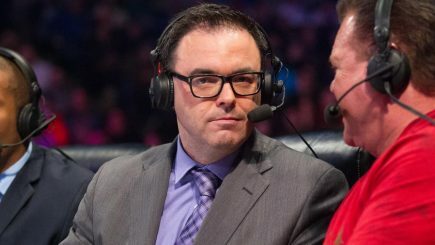 Deadspin has uncovered court documents from Dr. Christopher Amann’s deposition that he was involved in a past relationship with a WWE performer, Conor McGregor appears in court over brawl from Brooklyn, Nia Jax interview, ROH in Texas, television reviews of Impact Wrestling & NXT, and more. 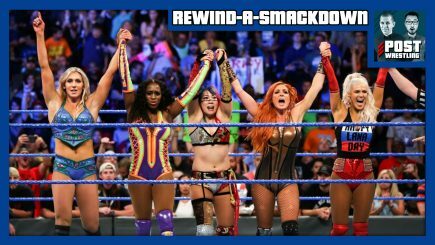 John Pollock looks at the television viewership figures from the past week in the WWE, the return of Lucha Underground on the El Rey Network, Total Bellas continues to rise in viewership, and the totals from this past Saturday’s UFC 225 preliminary fights on FS 1. 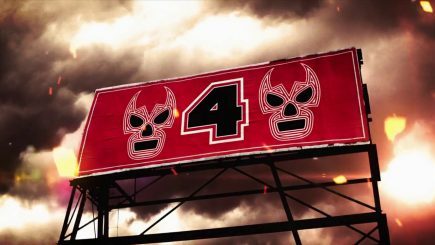 The fourth season of Lucha Underground premiered on Wednesday with the writing off of Dario Cueto and introduction of his “father”, Antonio Cueto. The season-premiere also featured the return of the Aztec Warfare Match with Pentagon Dark defending the Lucha Underground title. 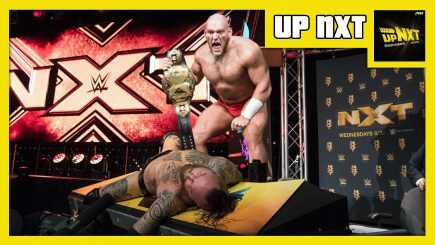 Braden Herrington and Davie Portman chat this week’s episode of WWE NXT including a must-see match between Pete Dunne vs Kyle O’Reilly for the WWE UK Championship, EC3 vs Kassius Ohno, Lars Sullivan confronts Aleister Black… They also take your feedback… and more! 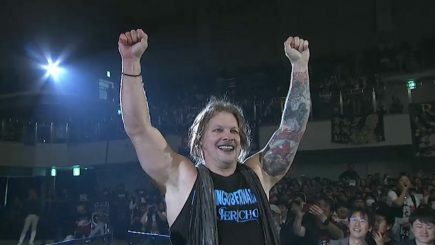 Chris Jericho explains why he has turned down offers to work for NJPW in the U.S., Sinclair CEO states that ROH will run MSG in 2019, Lucha Underground Season 4 begins tonight, review of Dana White’s Tuesday Night Contender Series, Total Bellas viewership soars, CMLL’s Arkangel de la Muerte passes away & more. 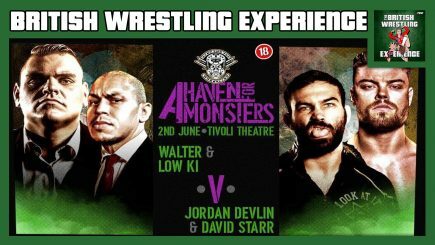 Martin & Oli are joined by JP Houlihan to talk Over The Top A Haven For Monsters (Low Ki & Walter vs. Jordan Devlin & David Starr), Progress Chapter 71 (Dakota Kai vs Jinny) and Revolution Pro Wrestling Live In Southampton 3. They also preview the cards for NJPW/Rev Pro Strong Style Evolved UK and talk the main event from Defiant Wrestling Road To Destruction. 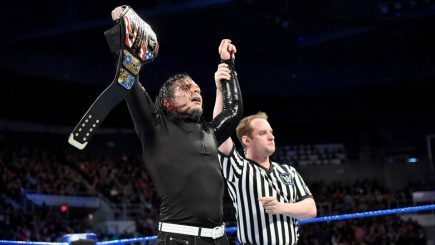 Jeff Hardy appeared in court on Monday and pleaded guilty to driving while impaired following an arrest this past March. Hardy will have his driver’s license suspended, will pay and a fine and attend special classes as a result of the charge. Dana White has stated that Brock Lesnar and Jon Jones want to fight each other, Rev Pro releases cards for Strong Style Evolved shows feat. Minoru Suzuki vs. Tomohiro Ishii, the trailer for Season 2 of GLOW, female wrestler releases story of being groped by Mario Milano in 2010, a preview of Raw tonight & more. 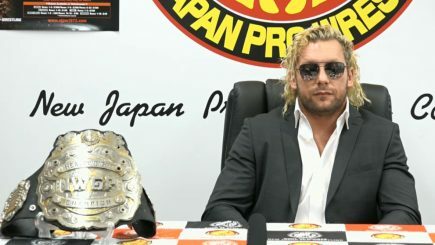 New Japan Pro Wrestling held a press conference to announce the top matches for the upcoming G-1 special at the Cow Palace in San Francisco in July. They also added that announcements for this year’s G1 tournament will take place over the course of the three Kizuna Road cards in June. 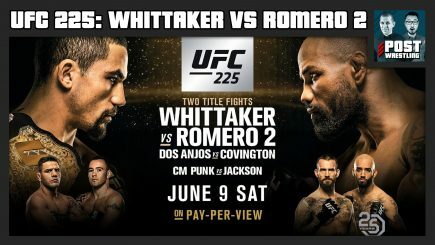 UFC president Dana White commented on CM Punk’s performance at UFC 225, Corey Graves details his falling out with CM Punk, the highlights from the NJPW Dominion card, Enzo booked for an appearance on an independent card, Ronda Rousey announced for the UFC Hall of Fame, matches scheduled for Raw & more.